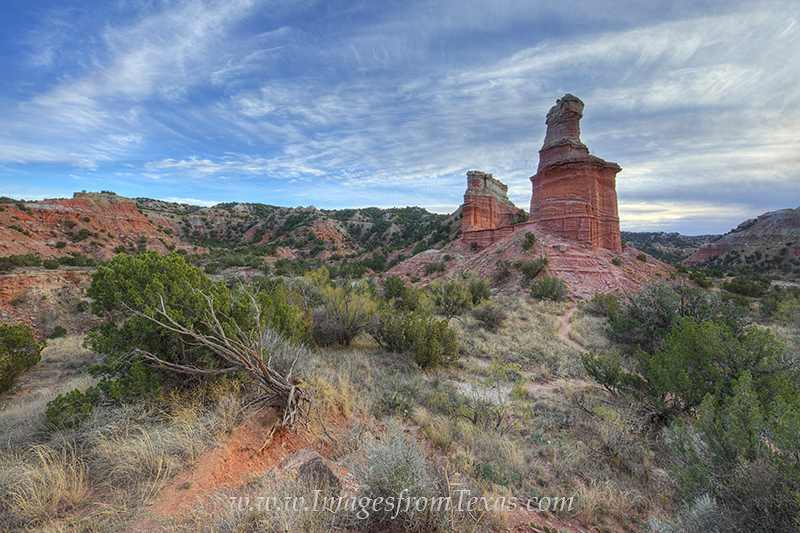 Rising into the cool Autumn air, the Lighthouse at Palo Duro Canyon State Park is one of the most well known landmarks in Texas. A 2.7 mile walk takes you to this amazing landscape, and if youâ€™re willing to go a little further, you can climb up the red rock and stand between these two beautiful formations. Photo © copyright by Rob Greebon.